Product description: Introducing Modern Utility - designed to fit a more casual lifestyle. Think of it as your go to business accessory. And of course it provides thoughtful organization for all your tech gadgets. 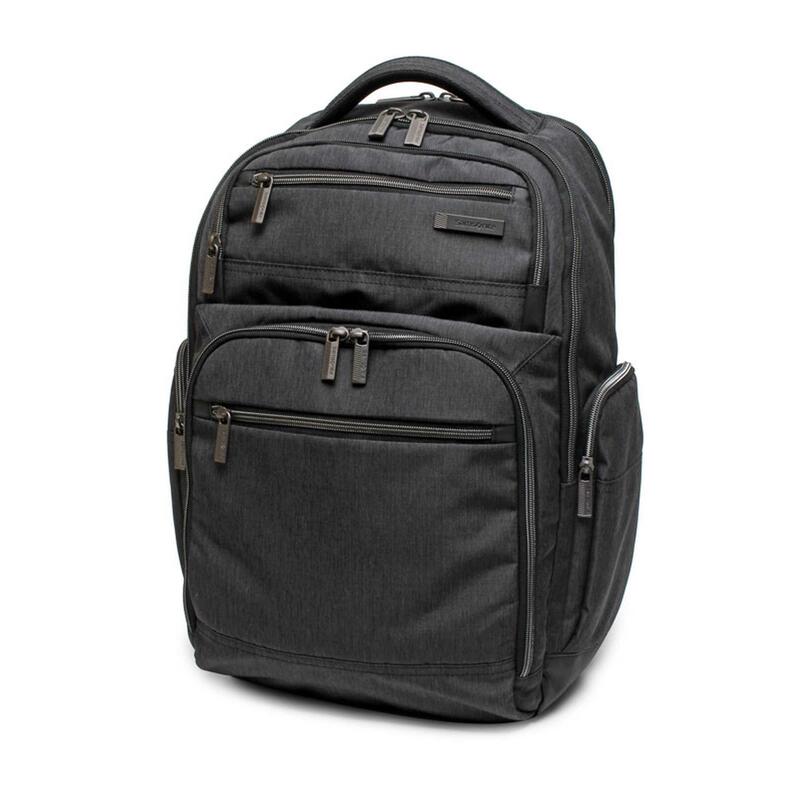 Modern Utility Double Shot Backpack FEATURES: *Main Fabric: Two tone ripstop poly *Accent Fabric: Water resistant PU bottom *Two pocket panel with two additonal slash pockets. * Main compartment features plenty of space plus other pockets. Dimensions (L x W x H): 14.17" x 6.69" x 19.68"